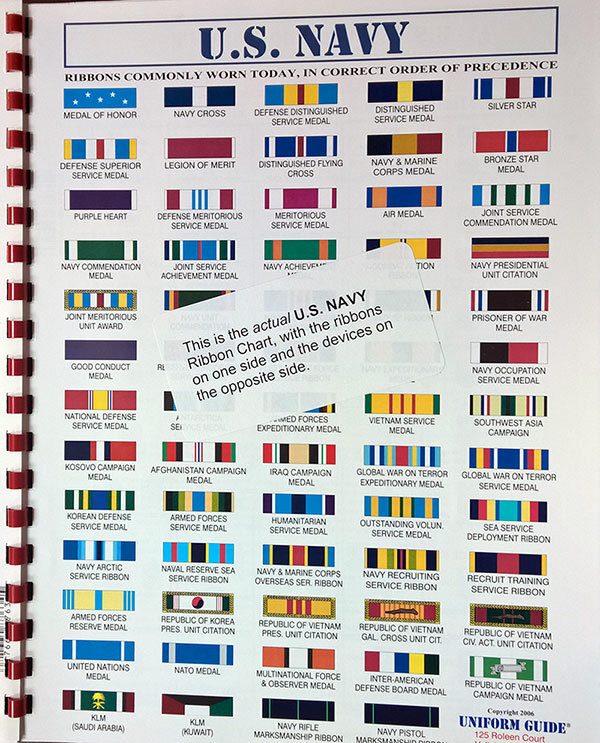 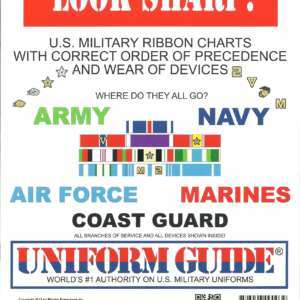 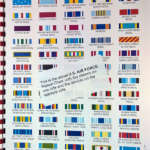 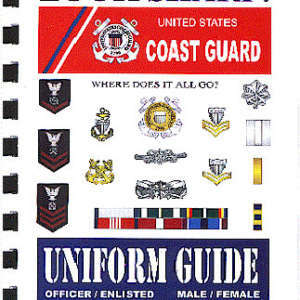 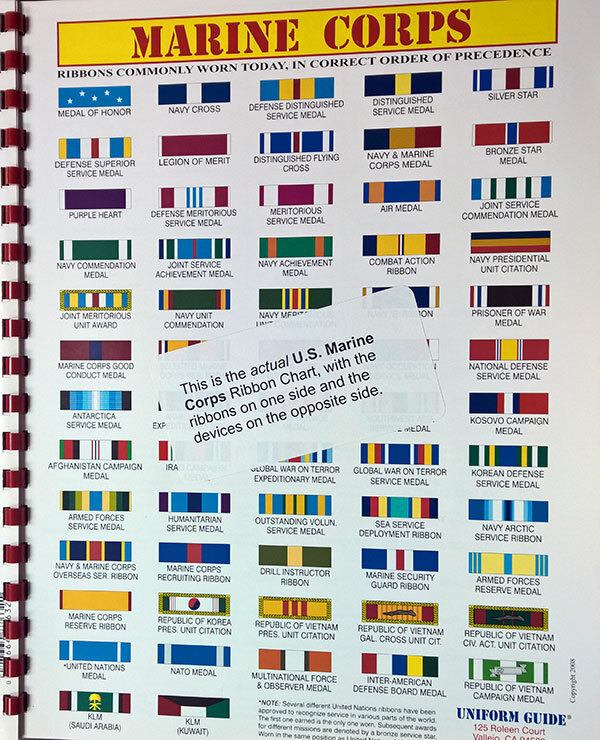 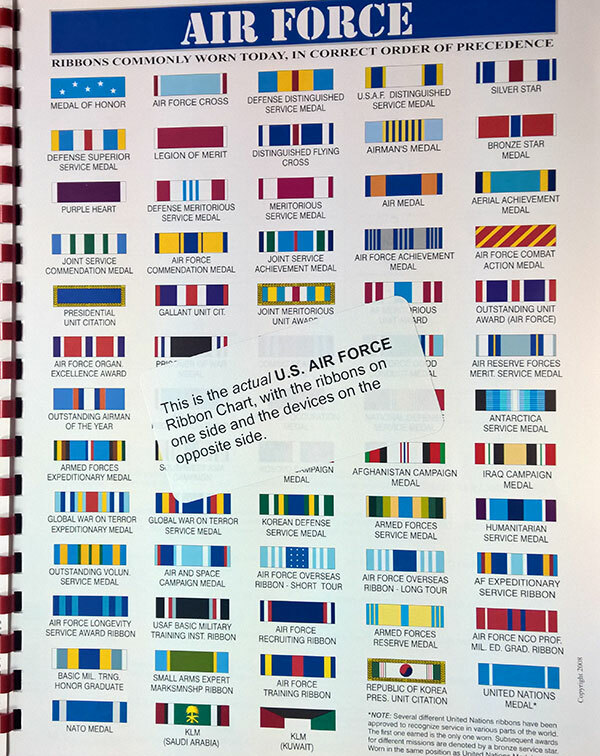 RIBBON CHARTS: An 8 1/2 ” x 11” color chart (computer generated, not just photos) of the most common ribbons, in order of precedence, worn by a service. 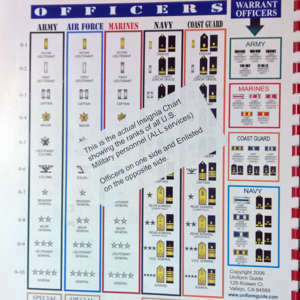 Reverse side of chart shows what devices (clusters, service stars, etc.) 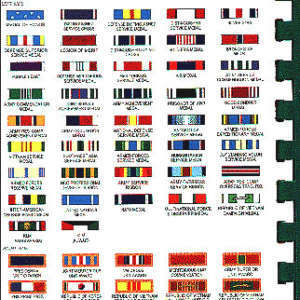 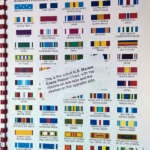 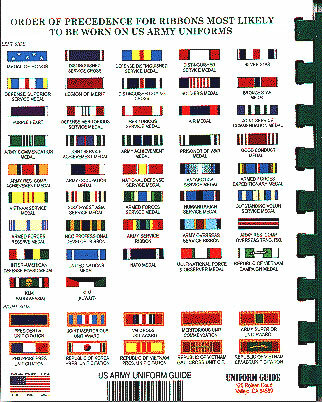 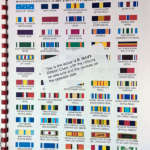 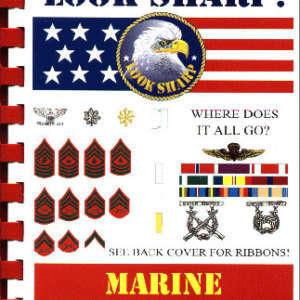 are worn on each ribbon and how they are worn.